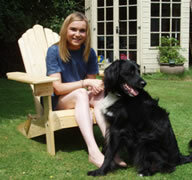 Daisy, now sans braces, shows how easy to open your chair, literally in seconds. 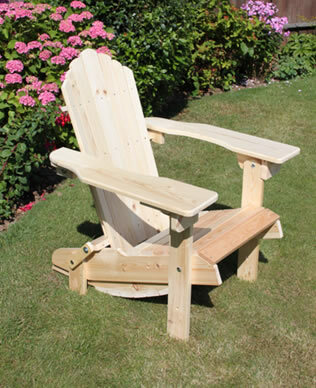 Our hand crafted Adirondack family has just expanded a bit. 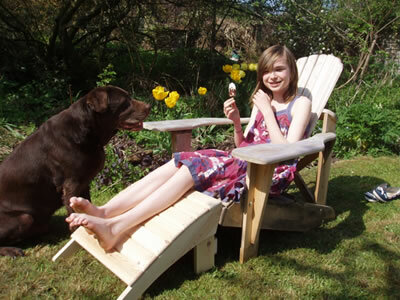 We really love our handmade Adirondacks, so many wonderful memories over the years. Family parties, kid’s playing, dog’s mumping or days just dreaming, making plans. 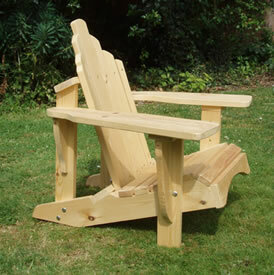 Our latest Adirondack though is a bit shy, and quite likes hiding away. 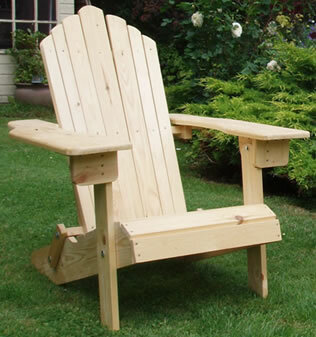 Although supplied with the same Lifetime Wood Treatment as all of our Adirondacks (so you can leave out in all weathers) you can fold this Adirondack chair and tuck it away if you need the space. We really are so proud of this chair. 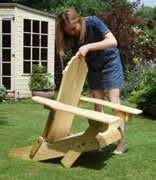 Perhaps we had the idea of a folding garden chair, but it took Terry ages to finally design one. He crafted prototype after prototype before he came up with a chair he, and we, were finally happy with. 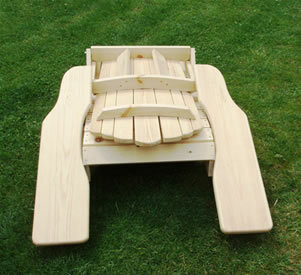 It’s a unique (and I mean ‘unique’) totally handmade folding Adirondack chair. 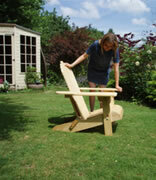 A chair built to the traditional comfort level, but easily folded, and built to last and last. Give us some details...... and how much is it going to cost me ? Oh, all right, I am getting on with the details. Your chairs are made from FSC certified pine, and we include our totally non toxic water based wood treatment to protect your chair for its lifetime. When fully opened your chair is about (each is unique remember) 94cm high (37”) 92cm deep (about 36”) and 83cm (33”) wide from arm to arm. 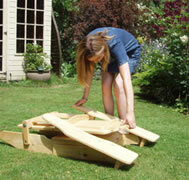 When folded and stood ‘upright’, it is 122cm (48”) high, about 30cm (12”) deep and 83cm wide from edge of each arm. All bolts and fastenings are stainless, and it weighs about 16 kg.